San Diego is home to many famous residents and some of the richest people in the world. To build their homes and the homes of other lucky San Diegans, some of the most prestigious architectural firms and the most gifted residential architects have set their roots down in San Diego. Their plans include homes with cutting-edge designs, environmentally responsible building practices, and space that creatively incorporates indoor-outdoor living afforded by San Diego’s beautiful scenery and warm weather. This list includes homes built with breathtaking views of the ocean, and homes that are historic sites redesigned to retain their natural charm and add new layers to San Diego’s rich history. Flip-flops, sandy beaches, and sunshine are some of the things that come to mind when we think of San Diego, but San Diego also represents the new millennium in many ways. It embraces technology, it cares about the environment, and it is alluring to retirees and young entrepreneurs alike. Sunny San Diego has the draw of a quiet, relaxed community, with the perks of the Southern California weather and natural beauty. From the stunning coastline and the scenic communities to business and scientific innovation, it is no wonder that some of the world’s largest commercial architectural firms have brought their innovative designs to “America’s Finest City.” Although not all of these firms are based in San Diego, each of them has worked extensively in the city and left a powerful and lasting impact on San Diego’s commercial architectural landscape that will continue to benefit both locals and visitors for generations to come. San Diego has become one of the nation’s most desirable places to live. It offers year-round sunshine, a relaxed but economically and socially progressive atmosphere, great scenery, beautiful neighborhoods, and an abundance of professional opportunities. It follows that the city should have some of the world’s best design-build firms working to meet the high demand of residential living. From the city of San Diego to La Jolla, Del Mar, and Rancho Santa Fe, this list includes designer/builders who have worked on some of San Diego’s most beautiful and expensive homes in both the coastal and inland communities. Included are design-build firms that have won numerous awards from some of the most prestigious associations in the practice. When you have the perfect weather and gorgeous scenery, it calls for the next essential link — delicious food in a dynamic dining experience. With the best tacos, seafood, burgers, chicken wings, kid-friendly restaurants, craft breweries, and much much more, San Diego offers its residents and visitors some of the most mouthwatering food in the world and, as can be expected, is home to some of the best restaurants and restaurant architects in the business. 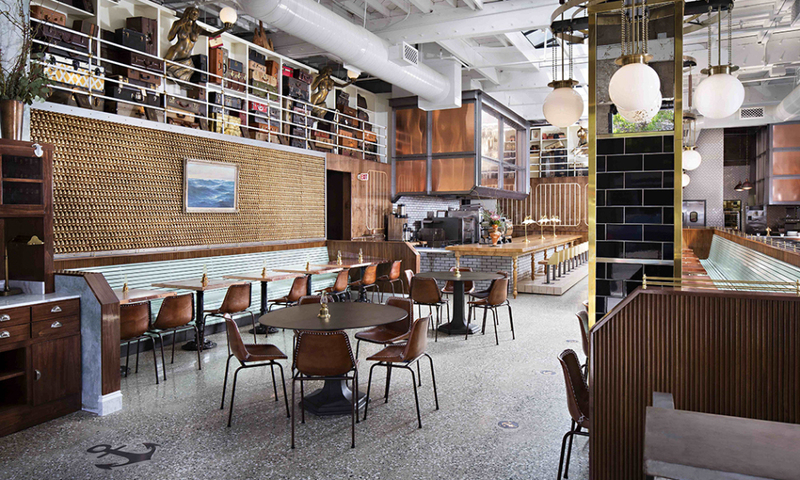 This list includes restaurant architects and designers who have created interiors that ignite not only our appetites but our imaginations. They have created platforms where the ordinary act of refueling the machine can transform into a magnificent and memorable dining experience. With constantly evolving workplace trends, rising costs, technological advancement, and the sheer number of hours the average American spends at the office, San Diego’s top companies face myriad challenges when it comes to the design and planning of their workspace. This list includes talented architects who are experts at providing spaces that are mindful of their client’s multifaceted needs. In their designs, they have taken every detail into account to create ideal modern workspaces by incorporating the power of natural light, relaxation rooms, communal work areas. In sunny San Diego, the firms also bring the outdoors in and in some cases take the indoors out to suit the relaxed, but extremely driven SoCal workforce. A great interior design can transform a space from ordinary to extraordinary. A well-designed interior has the power to create feeling, to transform emotions, to enlighten, to entertain, and to excite. Interior design is an enveloping artform that can turn blank walls into a space so beautiful you never want to leave. San Diego has the kind of rich landscape that can inspire this level of design, and these San Diego interior designers are among the best and most inspired in their field. Their award-winning transformations have reimagined the dullest rooms into the most exciting creations that are a perfect match for San Diego’s rich history and exciting future. Learn the about the best architects in San Diego. See rankings of the top architects and examples of their work they are designing.